The T25 is an easy to blow mouthpiece with plenty of tone articulation and timbre. It offers a full bodied sound without a huge amount of effort, making it a fantastic mouthpiece for the performer who needs help developing their embouchure. These mouthpieces features a smaller than normal bore and a flat baffle, very much like a traditional mouthpiece from the saxophone's creation. This gives a tone that is very infrequently too harsh or shrill but rather gives a pleasant and rich tone. The medium sized chamber gives a full and rounded tone but also offers a core of sound which gives the saxophone its expressiveness. 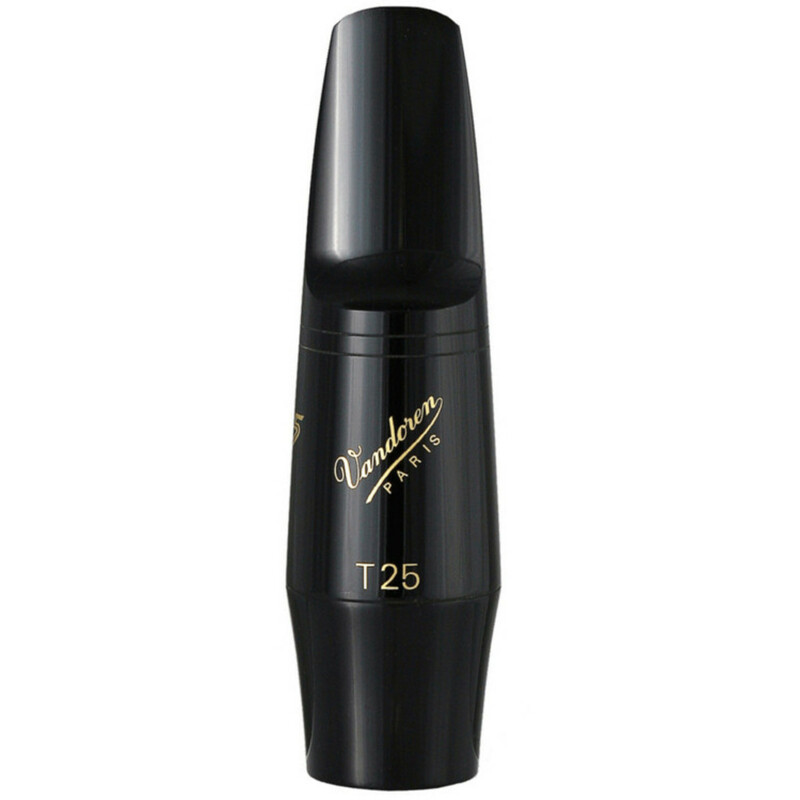 The T25 is a very easy blowing mouthpiece that offers a good amount of resistance to play against in order to get a full bodied tone out of the instrument. As a result, articulation and timbre is both accurate and well defined meaning it creates a very musical and expressive performance. For more information on Vandoren V5 Saxophone Mouthpieces, please find the PDF below. Can't find that specific mouthpiece online? Please contact us for more information.